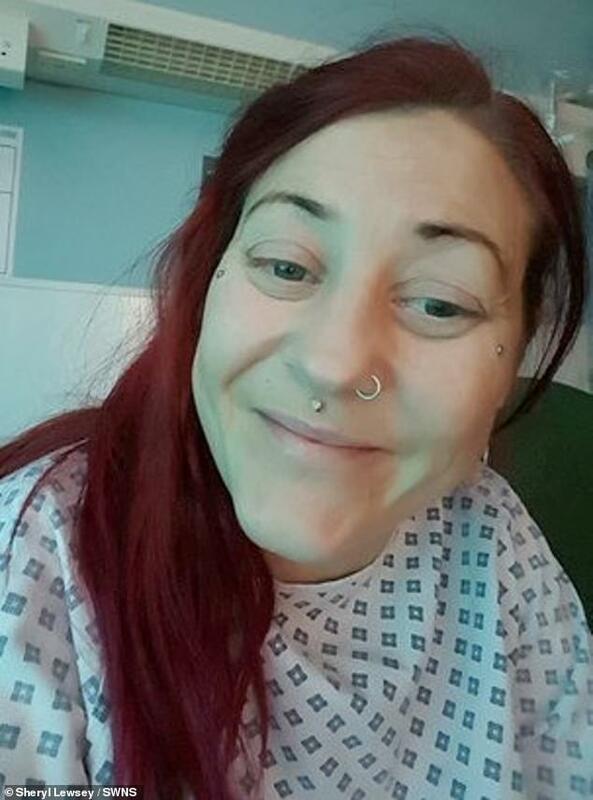 A mother-of-two has endured six operations to fight a rare condition that has left her with a ‘spaghetti brain’. 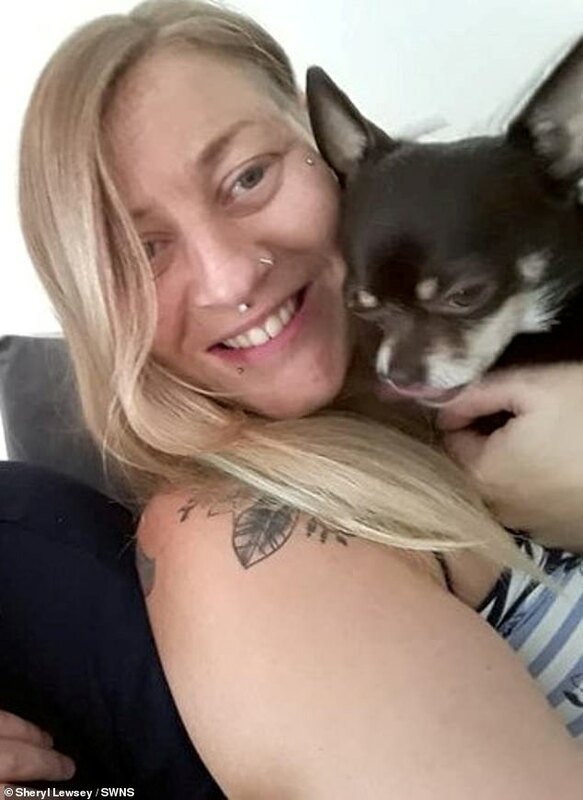 Emmaline Chalk, 39, of Newquay, claims her world fell apart when she suddenly collapsed while mowing the lawn in April 2017. Ms Chalk was unaware she was suffering from arteriovenous malformation (AVM), a tangle of blood vessels that developed in her brain. Since being diagnosed, Ms Chalk has gone under the knife several times to try and shrink her ‘spaghetti’ but it remains a large mass. Her condition has caused her to go deaf, suffer memory loss and endure such severe pain she was forced her to quit her job as a drug-rehab officer. Doctors are keen for the single mother to try a form of radiation therapy but she claims she ‘cannot take any more mental, emotional and physical pain’ and wants holistic treatment. Speaking of her condition, Ms Chalk said: ‘AVM medically is known as a “arteriovenous malformation” or, as I call it, a mass of spaghetti in my brain. This caused a build-up of pressure in her brain that triggered a bleed and resulted in Ms Chalk collapsing. High pressure arteries containing fast flowing blood are directly connected to low pressure veins, which normally only contain slow flowing blood. This means that blood from the arteries drains directly into the veins – without stopping to supply the normal tissues in that part of the body with essential substances like oxygen and nutrition. Over time this can lead to the normal tissues becoming painful or fragile. It also means that the AVM gets progressively larger over time as the amount of blood flowing through it increases, and it can cause problems due to its size. Finally, it may also mean that the heart has to work harder to keep up with the extra blood flow. Some doctors describe an AVM as ‘a ring road that bypasses the high street of a town’. Traffic (or blood) will use the bypass rather than the high street which suffers as a result. AVMs are thought to affect approximately 1.4 in every 100,000 people. ‘Since that hideous day, I’ve had countless MRI scans, CAT scans, and millions of needles prodding and poking around inside my brain,’ she said. ‘I’ve had three embolisations [dislodging a mass] and three angiography procedures [X-ray to check the blood vessels], which is six lots of brain surgery in total. Ms Chalk – whose passion is music and dancing – claims she has battled an array of symptoms since getting the diagnosis. ‘So far in this hell of a journey, from the hospital treatment that hasn’t done a great deal, I’ve been left with permanent severe dizziness and also lost my hearing completely in my left side which has given me tinnitus for life,’ she said. ‘The deafness will never go due to the nerves that were damaged during my third lot of brain surgery. ‘I’ve also gone through the upset of losing my hair due to the medication that I’ve been on, which I didn’t think would happen to me. ‘On top of all of that I’ve been blessed with short term memory loss, terrible neck to groin pain on my left side of my body, thanks to all these procedures which have all been done through my main artery. 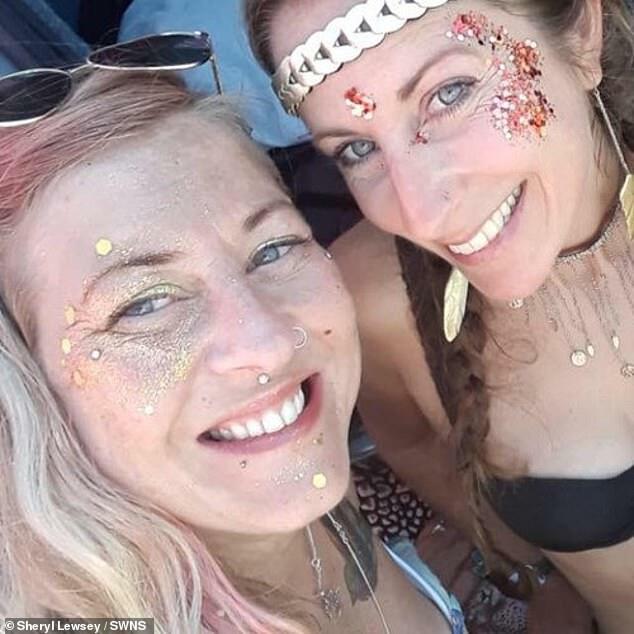 Ms Chalk’s friends have since set up a JustGiving page in an attempt to raise £4,000 for her to try holistic therapies and CBD oil. The page – set up by Sheryl and Sonia Lewsey – reads: ‘Please help us raise funds for our best friend who is an absolute warrior woman. ‘She is a one in a million with a beautiful soul, full of life, always smiling, loving and caring, laughing, and keeping her spirits high despite the traumatic experience she has gone through over the last two years. ‘She is a super single mum of two lovely teenagers who need their mum to be well again and we all desperately need her to get her life back completely. The pair claim Ms Chalk’s AVM ‘has been recruiting new veins meaning it’s constantly growing’.